If we talked about adventure, Manila would have been the at the very bottom of the list of places where it could be found. Or so I'd thought, until a couple of weeks ago when I had an opportunity to reevaluate my assessment. Due to the sudden cancellation of a hiking/camping trip I was supposed to go on, I had to have an immediate backup to cover the weekend's worth of adventure. And because I'd been wanting to go on a food trip in Manila for a long time, Binondo just seemed like the perfect plan; it was cheap, thrilling, and highly accessible if you were to come from the metro! Binondo is a colorful maze of intimate alleys, historical sites, religious shrines, retail shops, family-run businesses and gastronomical landscapes. 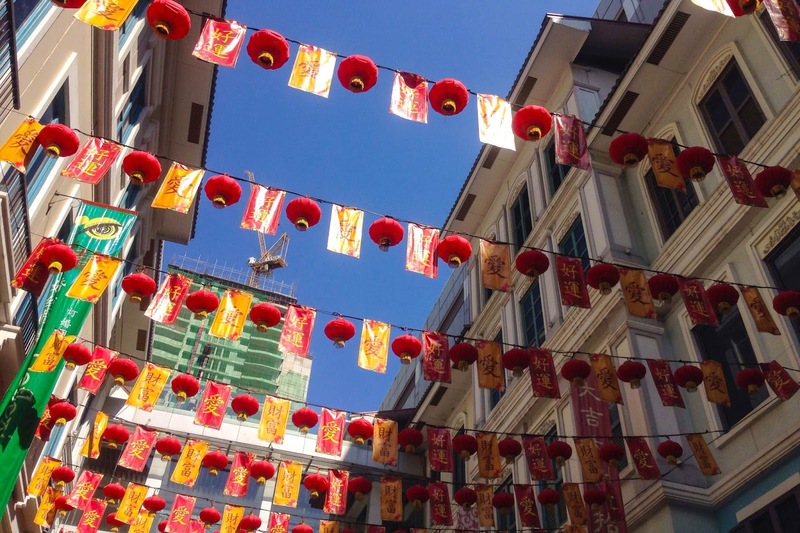 To give a background, it's the world's oldest Chinatown; a product of the Spanish colonization in the late 1500s, founded by Governor Luis Perez Dasmarinas as a mission of the Spanish to Catholicize the Chinese immigrants in Manila. This gave way for the Chinese Mestizos to rise in the district, as well as for the Catholic immigrants to engage in intermarriages with the local Filipinos. This started the Tsinoy (Chinese-Filipino) cultural and ancestral heritage in the country, from which St. Lorenzo Ruiz, the first Filipino saint, came. Over time, local businesses were born, developed and flourished. Binondo eventually became the center of commerce during the American occupation and served as a home to many American families and servicemen in the 1900s. However, at the peak of its financial prosperity and commercial glory, Binondo, once called the "Paris of Asia," was unfortunately wrecked by the atrocities of World War II. Since then, continuous efforts have been made to rehabilitate and restore Binondo to its former glory. Although many of its biggest commercial establishments got destroyed, today, the mark of the Spanish Catholics remains in Binondo's physical landscape, as reflected by the temples and cathedrals that still stand on Ongpin Street. 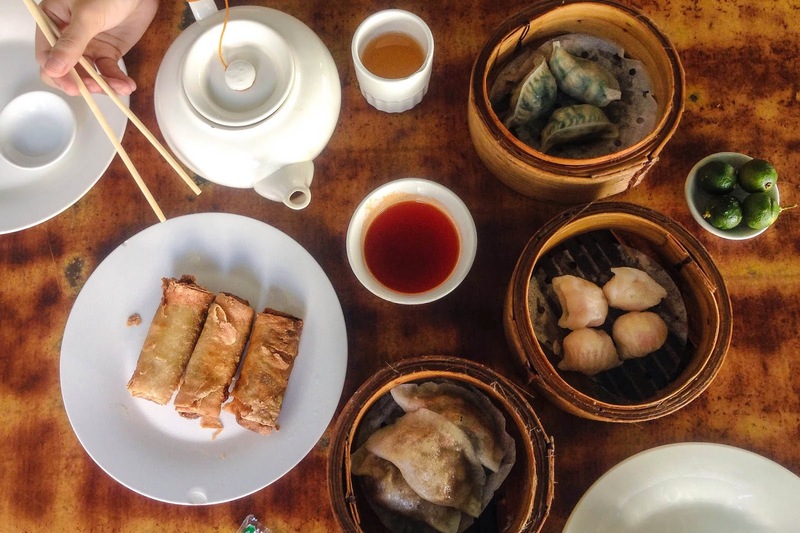 While Binondo is a favorite for many foreign tourists and history buffs, for millennials and common people, it is a culinary trove more than anything else. 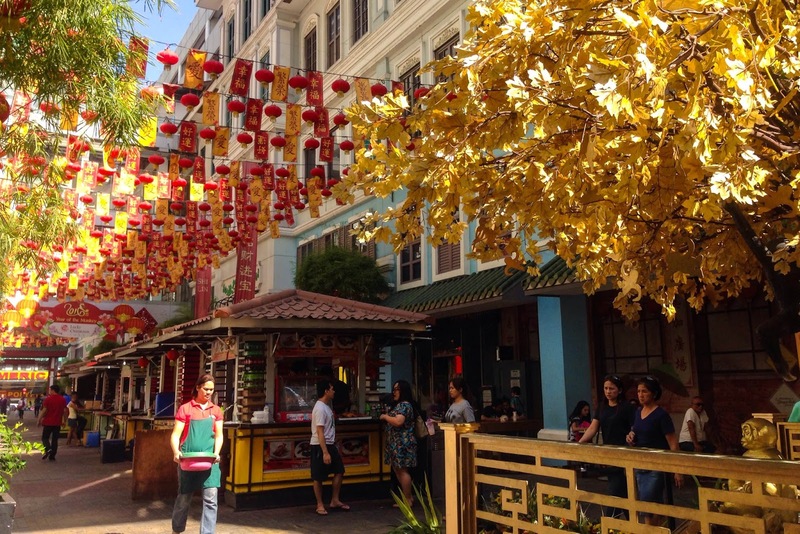 Food Walk (or Wok) tours in Manila Chinatown have become popular over the last several years, attracting all kinds of adventurous to both historical and gastronomical adventures rolled into one. As my trip was entirely spontaneous, I didn't bother to sign up for the tour anymore. However, I was able to brush up on my Philippine history by experience, and pick up a deeper appreciation for the Old Manila. But most importantly, I got to sample out A LOT of treats that Binondo had to offer! They say that traveling is best done on foot. Well, I say, it's best-est done through the stomach. The food all over Binondo is diverse, offering a good overview of Fujian, Xinjian and Cantonese, as well as fusion dishes of Chinese and Filipino. 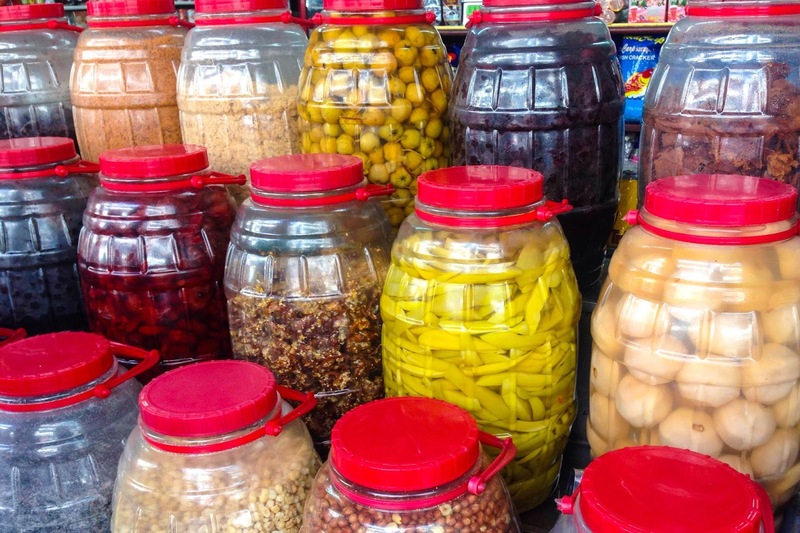 You will not be short for options here as every street gives your money's worth of local and exotic dishes, snacks, and street food from low to midrange stores. There are also vendors along alleyways that sell fresh produce imported from different parts of the Philippines and regions of Asia. Even a vegetarian like me was almost spoiled for choice! My favorite purchases were hopia (mooncake), candied fruits, pickled fruits, lumpia (spring rolls), and a couple of made-vegan treats such as kikiam and fish rolls from specialty stores. Try to be extra careful and clear when you order your food though -- I accidentally ate pork at a dimsum restaurant! Now just a tip for all of you who plan to go on a Binondo food adventure: do NOT go to the Lucky Chinatown Mall for food. The place will be worth the photo op, but you definitely won't get authenticity and adventure from the food. From this incredible trip, I learned that 1.) the food scene is definitely alive in Binondo and continues to share stories from distant memories; 2.) the architectural glory is gone, but not lost; 3.) the people are friendly, borderline too friendly sometimes (because I was female and they took me as a foreigner) and; 4.) Binondo makes a great introduction to a piece of Manila for any curious tourist or local who needs a refresh on their history. 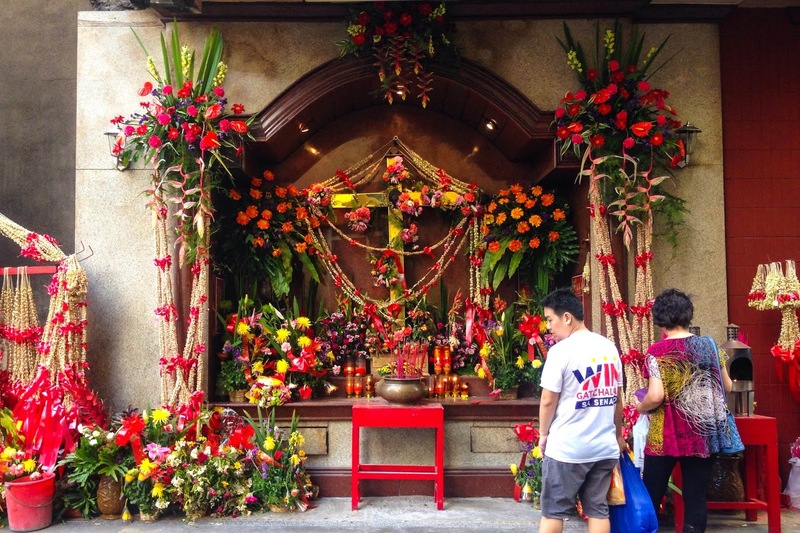 If visiting Binondo is not enough to fill you up with Old Manila, take a chance to explore its nearby districts such as Quiapo, where the famous Quiapo Church that houses the Black Nazarene is, or Intramuros, a Spanish walled city which is perhaps the most popular tourist attraction in Manila. I was never big on history, but this one-time adventure taught me so much more than what I learned in high school that it left me hungry for more knowledge on the Spanish colonial regime. If you're suffering from an identity crisis like me, try to take a step back to your roots through these historical destinations. So far, I think it's working for me. My next stop? You'll find out soon.